Went to see the New Contemporaries at the ICA this week. There was a video piece by Greta Alfaro of a banquet devoured by vultures. Claas Gutsche had made an incredible lino cut of a building that was massive! 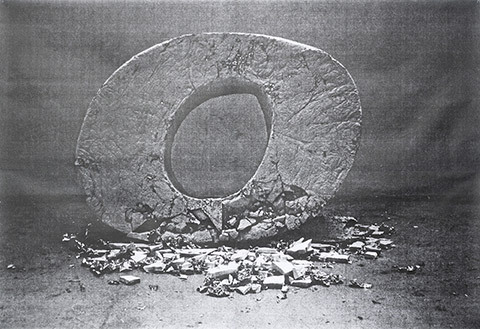 Ella McCartney has created an interesting piece depicting a giant photocopy of the letter ‘0’ made from plaster. Also Kristian de la Riva had made a video, of a character that kept chopping off body parts. It was interesting and made people look away in horror but laugh at the same time. Really funny. I wonder what Julian Opie would make of his work.